Lowdown: Years after being notoriously forgotten, Derek Zoolander makes a comeback to the world of fashion modelling. Some 15 years ago, a silly comedy about a dumb male model called Zoolander flopped at the box office but rose like a phoenix out of the ashes to be recognised as the clever parody that it is. Is the world ready to have another dose of Zoolander, given all this time? Well, if Zoolander 2 is the evidence for the case, then the answer is no. I will add that, given a better script, the answer could have been different but then again who knows. A quick exposition explains what happened to Zoolander (Ben Stiller, who is also the director) during those years. His education centre collapsed, a victim of his ignorance, in the process killing his wife and eventually separating him from his son. Zoolander therefore retires to a remote cabin in snowy New Jersey, disconnecting himself from the world. Hansel, his best friend (Owen Wilson) loses his face to the same accident, and is now living in remote Malibu and spending his time in group orgies with fellows such as Kiefer Sutherland and a goat. The fate of the two changes when a blast from the past - Billy Zane - comes knocking on their doors with comeback invitations to a fashion show in Rome. Which turns out to be an evil plot from an old nemesis (Will Ferrell) and his aid (a very hard to recognise Kristen Wiig). Our Zoolander & Hansel duo is not alone, though: the Interpol's hottest detective (Penelope Cruz, probably the best thing to happen to this movie) stands by his side. Problem is, there is very little originality in Zoolander 2; it's almost exclusively a repeat of the same old stuff from before, with the slight modern joke touch on the art of the selfie and how mobile phones have grown in size since the first Zoolander's trend for the tiny. There is a very thin line between clever and stupid when it comes to silly jokes, but whereas the first Zoolander knew how to navigate that area with much greatness this Zoolander tumbles and falls. The franchise still has a reputation, though, which does explain the stupendous amount of celebrity cameos thrown all over the place in this hour and a half long flick. There's Bieber, Sting, Tommy Hilfiger, MC Hammer, Valentino and many many more - most of them actively accepting ridicule ("brought to you by white privilege", said with reference to Hilfiger). The award for best cameo, however, clearly goes to Neil deGrasse Tyson. 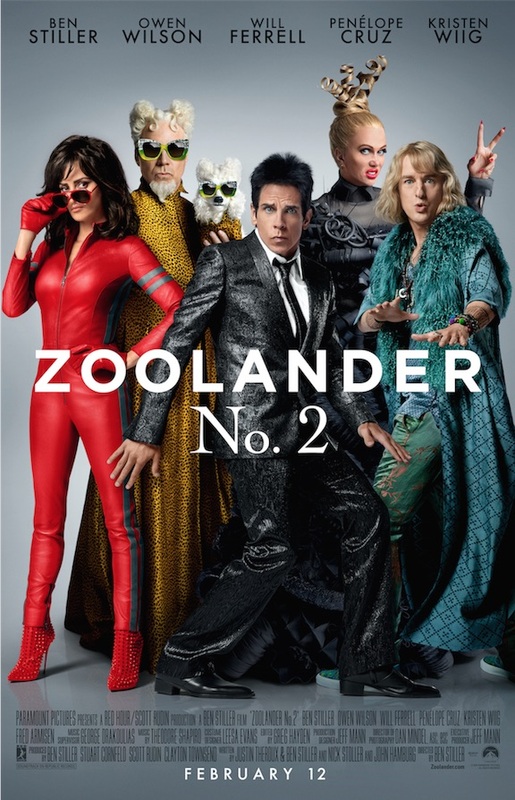 Overall: Despite all the names and all the good intentions, Zoolander 2 just doesn't click. What was supposed to be a parody on our tendency to worship the stupid while practicing the narcissistic turned out to be just plain stupid (and narcissistic) on its own rights. 2 out of 5 crabs.